Need more information on Alphatronic AG Based in Switzerland located in Zurich? 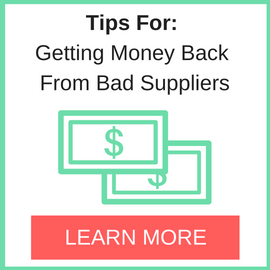 If you’re considering doing business with this company, read below to read one buyers experience with when they were looking to source Electronic Component from them. 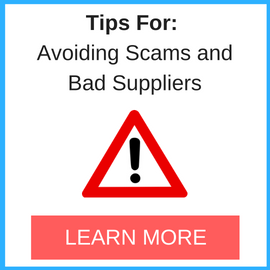 You will also find some links to help you find more related information about Alphatronic AG Based in Switzerland on Supplier Blacklist and on Google as well as other bad suppliers of Electronic Component reported here on SBL. We place an order to Alphatronic AG,Order a PCB solution and process it,They look professional,after we paid, a few weeks passed,We tried to contact Alphatronic AG but no answers on our e-mails, and they never picked up phone. They did not refund my pre-payment back. Don’t do business with Alphatronic AG, they are very big Cheater company. Need More Info on Alphatronic AG Based in Switzerland? If you need more information, you can click the below links to search for more submissions about Alphatronic AG Based in Switzerland on Supplier Blacklist as well as go to the search results page on Google for more reviews online about this company. 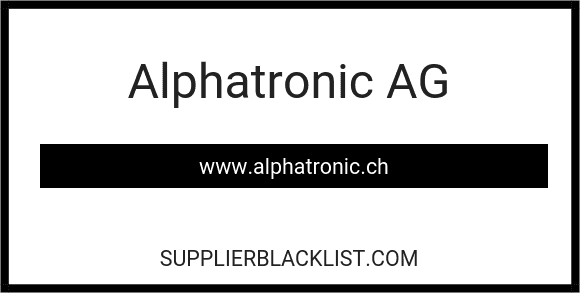 Perform a Supplier Blacklist search for more reviews on Alphatronic AG Based in Switzerland. Search Google for Alphatronic AG Based in Switzerland Reviews.